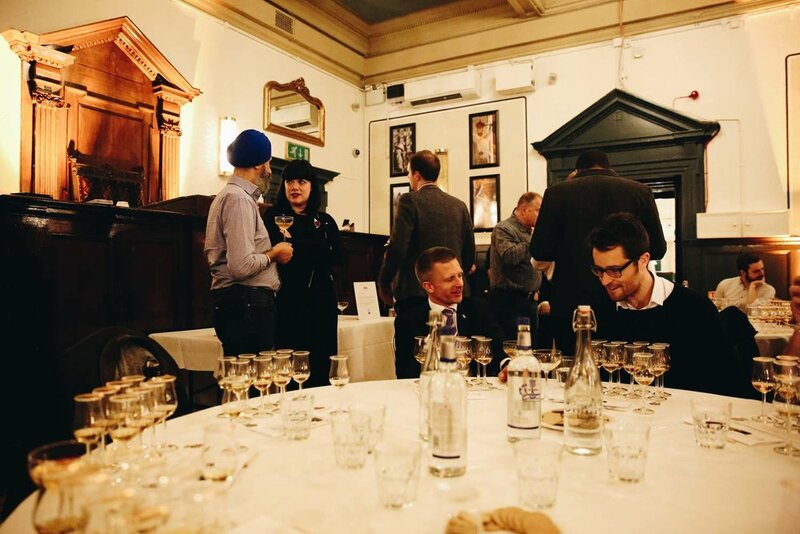 Earlier this year I was invited along to my first-ever blind whisky tasting event at Brown's. 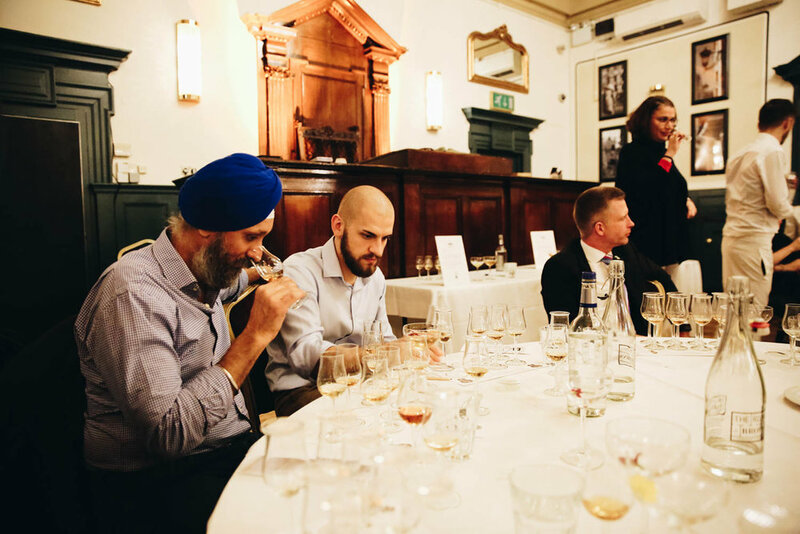 Each year, the guys at The Whisky Exchange hold an annual blind tasting session, which invites whisky enthusiasts (aka ordinary people – like you and I) come and judge some of their best whisky brands. The Claymore ~ created by Rhys Wilson of east London cocktail bar, Happiness Forgets. As a girl who loves her whisky (whiskey and bourbon too) it must be my Irish ancestry... I was excited to take my man along with me to what was going to be both an enjoyable, yet also a rather educational evening too. A date night with a difference! By the time you arrive, they've already narrowed down the list to eight whiskies – a few old favourites and some great new drams. The beauty of this blind tasting is that all of the Whisky of the Year contenders are ongoing releases from around the world, priced under £60 and bottled at standard strengths. Our initial welcome drink was The Claymore, which also happens to be the winning cocktail from the 2017 Speciality Drinks Next Whisky Cocktail Classic Competition. Following this, we sat down at our tables, and took in the eight delightfully fluted glasses before us. Yep! We were going to be trying all eight whiskies blind, with a surprise ninth to keep us going while the votes were totted up! 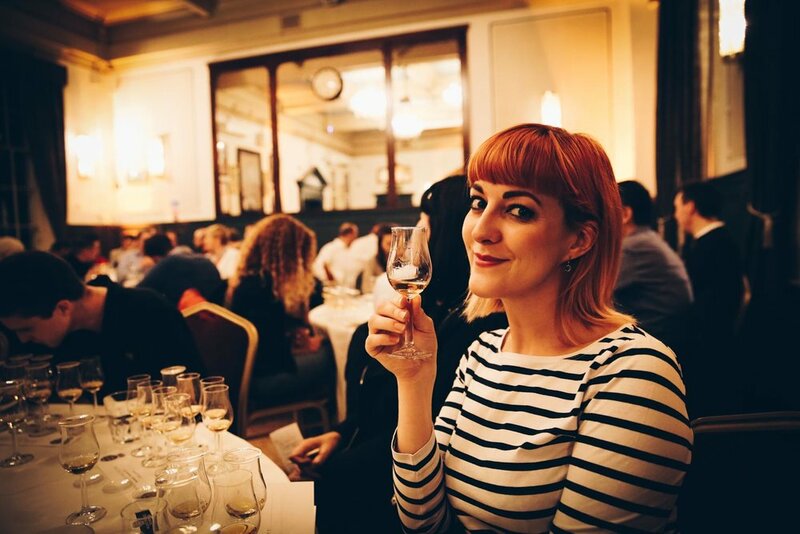 Take a peek at The Whisky Exchange Blog to read a play by play of the evening's tasting revelations, as Master of Wine (and pretty much every other alcoholic beverage under the sun) Dawn Davies, expertly guided us from dram to dram. If I remember rightly, The Nikka Coffey Malt and Benromach 15 Year Old were my favourites! ** online prices correct at time of publishing but may be subject to change. Don't want to buy a whole bottle? Or fancy a pick-n-mix of a few different drams? The WHisky Exchange also sell a great selection of miniatures.